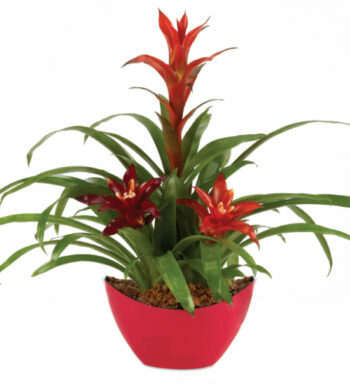 Design – Be among the select few to share in this premiere design. 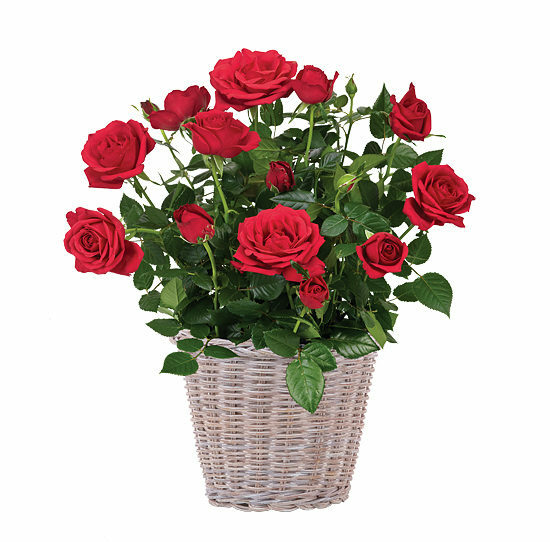 Red roses convey your love and affection like no other, and our sweet rosebush will continue to bloom with miniature roses to express your heartfelt thoughts long after. 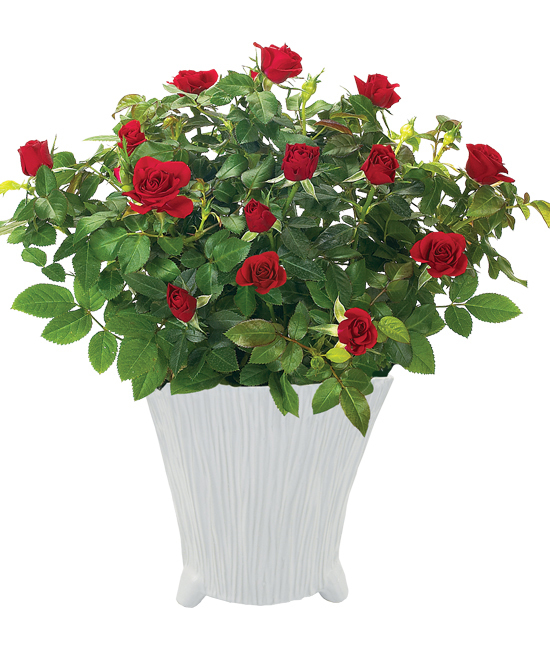 Planted in a 6″ grower’s pot and nestled in our stylish, white scalloped-edged cachepot, the plant arrives in bud and bloom and may flower year-round with proper care.